With a life that spanned times of great change in the world around her, Mary Brush lived a life of purpose while holding her loved ones near. 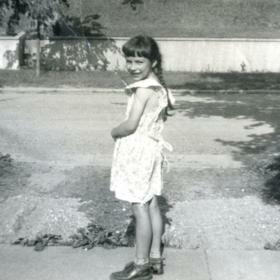 She was sassy and even feisty at times, and she always had a little pep in her step, too. Mary was deeply devoted to her loved ones, and there was nothing she treasured more than being surrounded by their love. 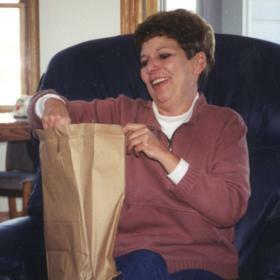 A longtime resident of the community she loved, she touched others in such a special way. Life wasn’t always easy for Mary, but she faced whatever came her way with both strength and courage. Deeply loved, she will be forever missed. During the first half of the 1940s, the eyes of our nation were focused overseas as countless young servicemen and women were fighting for the preservation of the freedoms we still enjoy today. While families gathered for the latest news from the front lines, rationing became a way of life for those who remained stateside. It was during this eventful time that Charles and Agnes (Duffey) Bellingham were eagerly awaiting the birth of their new baby as September appeared on the horizon in the city of Kalamazoo, Michigan, in 1942. Their wait was finally over on September 6th when the baby girl they named Mary Ellen drew her first breath. She was the fourth of five children as she was raised in the family home alongside her older siblings, Joyce, Cecile, and Virginia, and her younger sibling, Terry. In many ways Mary was a young girl of her generation. 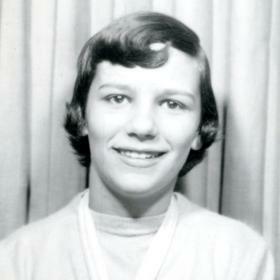 She attended Kalamazoo schools including Kalamazoo Central High School. Mary wasn’t able to finish high school, however, as she left school in order to help her family. It was during this time that she really began to establish her cooking skills. Mary primarily made comfort food, but it has been said that anything she made was fantastic.  Life was forever changed for Mary when she met a young man named Charles Grady. They were later married on March 16, 1962. Although her marriage ended in divorce after about 12 years, Mary was forever grateful for the births of the children they shared, Deb and Rick. Later on, she was filled with unspeakable joy when her two grandchildren, Jake and Kate, came along. New and exciting days were in store for Mary when she met and then married William Brush in the early eighties. They moved to Long Lake not long after and loved lakeside living for about 18 years. Mary and Bill also had many adventures during their retirement years. They bought a 5th wheel trailer and spent a lot of time camping. Among their favorite places to go closer to home was South Haven, but they also liked taking bigger trips down South and all over the country through the years. Throughout her life Mary was one to keep busy. She spent some time working as a loan closer for the Title Office until she retired. Mary enjoyed keeping her mind sharp, too, and played video poker, board games, and card games like euchre. When she as able, she enjoyed going to the casino. Mary really enjoyed spending time with all of her close friends. Mary looked forward to Christmas every year as it was a time for being together with her family. Shopping was a favorite pastime, and as her family and friends can attest she had quite a sweet tooth as there was rarely a sweet treat that Mary didn’t like. Her favorite treat was a bowl of ice cream. One of her favorite ways to relax was watching television. Some of Mary’s favorite shows to watch were Wheel of Fortune, Judge Judy, and reality shows like The Bachelor, Survivor, and Big Brother. Even as she struggled more with COPD for the past five years, Mary did her best to not let it slow her down. In 2013, life also became a bit more difficult for her as she was deeply saddened with the death of her beloved husband. Truly beautiful on the inside and out, Mary Brush was an extraordinary woman to know and love. She was organized and hardworking with a love for life that was easy to see. Someone who liked looking her best, Mary was stylish and gracious, too. Life will never be the same without Mary here, but she leaves behind a priceless collection of memories that her loved ones will forever hold near and dear to their hearts. Mary Ellen Brush, of Portage, passed away on Saturday January 13, 2018. 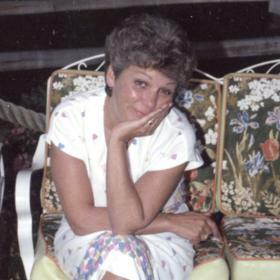 Mary’s family includes her two children: Deb (Craig) Andrews, of Vicksburg; Rick (Renee) Grady, of Oshtemo; and two grandchildren: Jake and Kate Andrews. 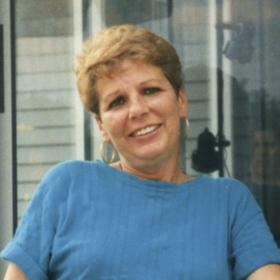 Mary was preceded in death by her husband, Bill Brush in 2013, and four siblings. The family will receive friends on Friday from 10-11 a.m. at the Life Story Funeral Home, 5975 Lovers Lane, Portage (269-344-5600). A memorial service will be held at 11 a.m. at the funeral home. 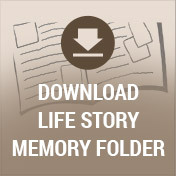 Please visit Mary’s webpage at www.lifestorynet.com where you can sign the guestbook and share a memory. In lieu of flowers, those who wish may make contributions to the COPD Foundation. I have come to the end of my journey and I’ve traveled my last weary mile. Please forget that I ever frowned, and remember only the smile. Forget unkind words that have been spoken, remember good things I did, forget that I ever had a heartache, and remember I had loads of fun. Remember I fought some hard battles, and won at the close of day, forget to grieve for my going, I would not have you sad for a day. Remember the place where I lay, and don’t forget to come in the evening. Stand for a few moments beside me, and remember only the best of me.